lots of people, lots of food, lots of fun. That’s such a wonderful way to connect on a deeper level. How insightful to see how many friends there were already around and you all did not know!! 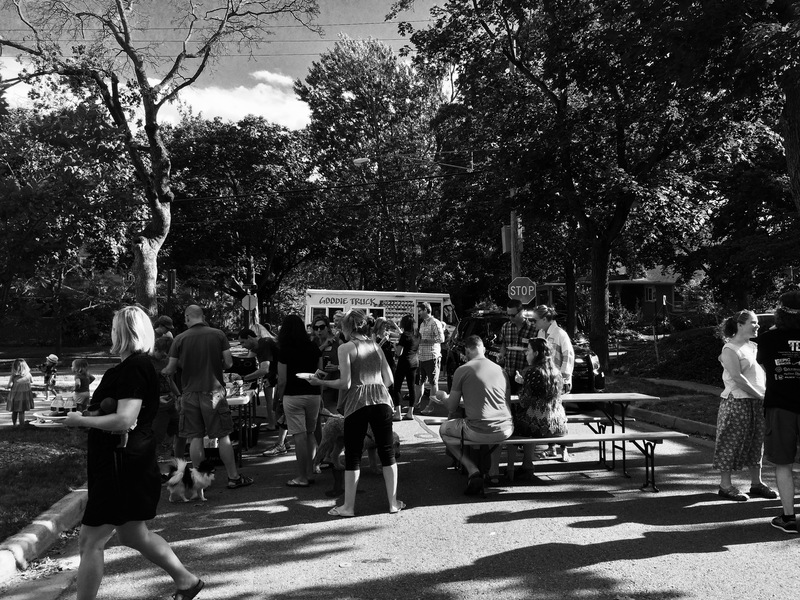 Growing up in a city neighborhood my memories of block parties are filled with smiles. Everyone participated. Everyone had fun. Everyone filled their memory banks with wonderful moments that guaranteed smiles 40 plus years later. I love seeing neighborhoods come together. We need more community these days. I have to admit, I miss the feel of the neighborhood I grew up in. It was the last time I had that complete “knowing” of my place.